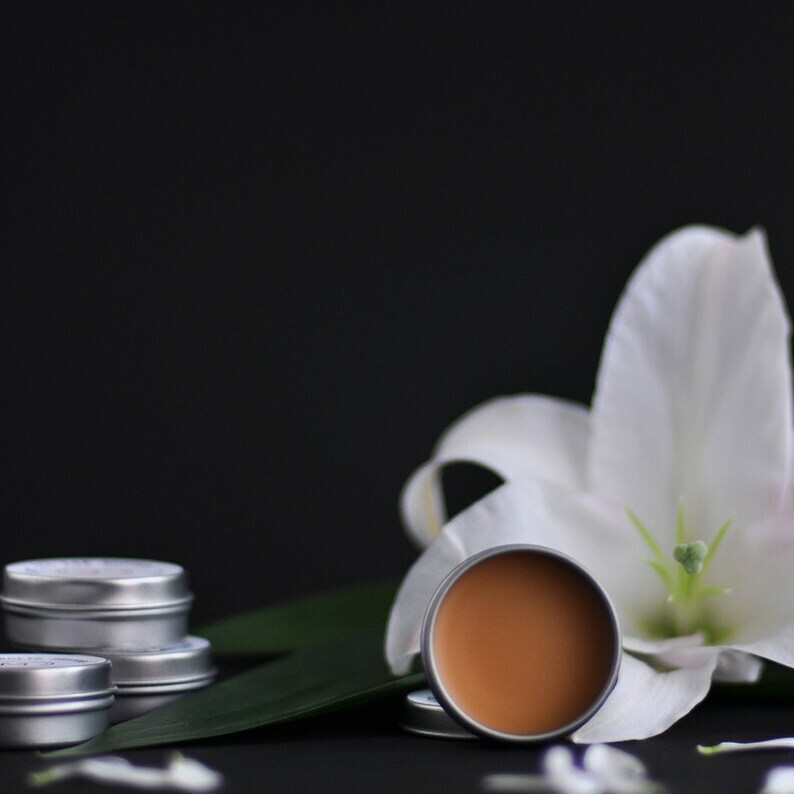 All natural essential oil solid perfume made with pure beeswax, vitamin E, triple scented herbal oil and essential oils. Great as a solo fragrance to keep in your purse or travel bag, or as a layering scent paired with essential oil perfume. *Custom Requests accepted - please message first!! This smells amazing! I've never used a solid perfume, but I think I like it better than the liquid! Rubs in well and lasts longer (at least on my skin). And this smells so great and natural. Love it!